In just a few days, Marvel Phase 3 kicks off with Captain America: Civil War. But fans are already looking towards the future. Phase 3 will certainly be an enormous undertaking, culminating in the highly-anticipated Avengers: Infinity War two-part adventure. Between now and then, we'll be getting a number of standalone movies introducing new heroes like Doctor Strange and Captain Marvel. While the Phase 3 lineup is already set in stone, the fans have spoken about which one of the Avengers they think deserves a standalone movie next. And the results may surprise you. USA Today teamed up with Fandango for a new poll, asking moviegoers which one of the current Avengers deserves his or her own standalone movie. The results were overwhelmingly in favor of Scarlett Johansson's Black Widow, who earned 48% of the vote. The poll was conducted with 1,000 moviegoers who had already purchased tickets to see Captain America: Civil War in theaters. The android Vision (Paul Bettany), who debuted in last year's Avengers: Age of Ultron, received 15% of the vote, followed by Anthony Mackie's Falcon (12%), Jeremy Renner's Hawkeye (10%), Don Cheadle's War Machine (8%) and Elizabeth Olsen's Scarlet Witch (7%). In true Civil War fashion, these fans were also asked which Avenger has had the best solo movies, with Chris Evans' Captain America (57%) beating Robert Downey Jr.'s Iron Man (43%). Those results may be somewhat surprising too, since all of the individual Iron Man movies have far out-grossed the two previous Captain America adventures. As for a Black Widow movie, there has been talk of a standalone spinoff for several years, after the character debuted in 2010's Iron Man 2. She has gone on to star in 2012's The Avengers, 2014's Captain America: The Winter Soldier and last summer's Avengers: Age of Ultron. 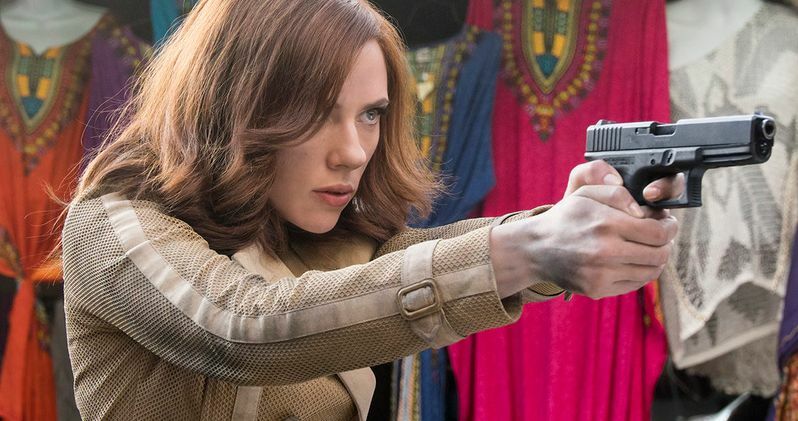 Last month, Marvel Studios president Kevin Feige revealed that he would still love to see a Black Widow movie in the MCU, but he doesn't think it would happen until at least 2020, in Marvel Phase 4. It isn't known if the studio has brought on a writer or director for this project quite yet. Last year, Marvel set three unspecified movies for release on May 1, 2020, July 10, 2020 and November 6, 2020, which will be the first three movies in Phase 4. The studio recently pushed the movie that was originally slated to close out Phase Three, Inhumans, out of its July 12, 2019 release date, so it's possible that project could be slotted into one of those dates. Be sure to stay tuned for more on a potential Black Widow movie in the Marvel Cinematic Universe.